The days are getting shorter, and in no time at all little ghosts and goblins will be haunting the neighborhoods of Castle Pines. Grocery store shelves are brimming with brightly packaged sugary treats for trick-or-treaters. I will be the first to admit that I love to indulge in these treats, which take me straight back to my childhood. But this time of year I also get a hankering for another kind of treat, something made in my own kitchen, the scent filling the air and the heat from the stove warming the house. I am working on learning how to make homemade candy, but candy making is an art, and I’m far from confident when it comes to making more complex varieties. Candy making is also a science that can be affected by variables outside my control, like the ambient temperature and humidity. It requires precision timing, lots of equipment and a willingness to throw out a batch and start over when things don’t come together right. Most weeks, I have just a little time to make something and if it doesn’t work on the first try, I’m unlikely to have time for a do-over, so I love candy recipes that are a little more foolproof. Enter this recipe for caramel sauce, which isn’t actually a candy, but a close cousin that I can make in a flash. Caramel is a natural compliment to so many fall favorite treats, especially crisp, sweet apples, which are in abundance right now. This sauce requires far less careful cooking than most candy (though you do have to mind the cooking time) and is easy to store in the refrigerator. 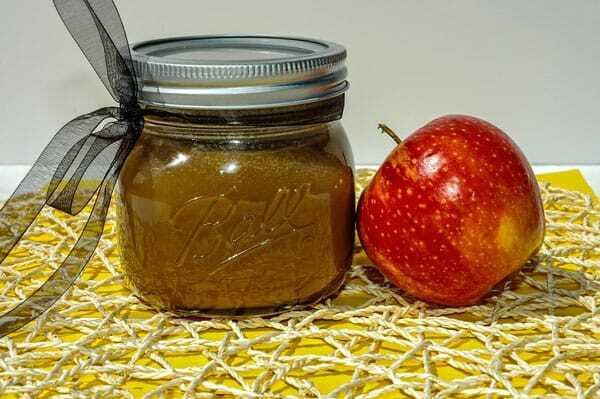 I prefer this caramel served as a dip for fruit rather than dipping whole apples in caramel because it is infinitely easier to make, serve, and to eat. This caramel sauce is also delicious on vanilla ice cream along with a sprinkling of toasted pecans. Or drizzled over a piece of warm apple cake. Or stirred into a mug of warm apple cider. Or eaten straight out of the jar with a spoon! So watch the leaves fall and welcome the spooks that ring your doorbell this season while you indulge in this treat that’s not a trick to make. Do not boil this caramel sauce for longer than three minutes, or it will harden and be difficult to eat. Once the mixture begins to boil, set a timer to allow you to track exactly how long it should cook. 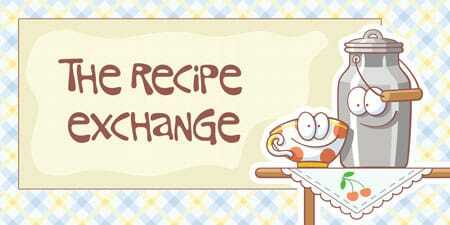 Melt butter in a saucepan, remove from heat and add brown sugar, corn syrup and cream and stir to combine ingredients. Over medium heat, bring mixture to a boil and allow it to boil without stirring for three minutes. Take caramel off the heat and allow it to cool. Mixture will thicken as it cools. Store caramel sauce in the fridge; allow it to come to room temperature before serving. 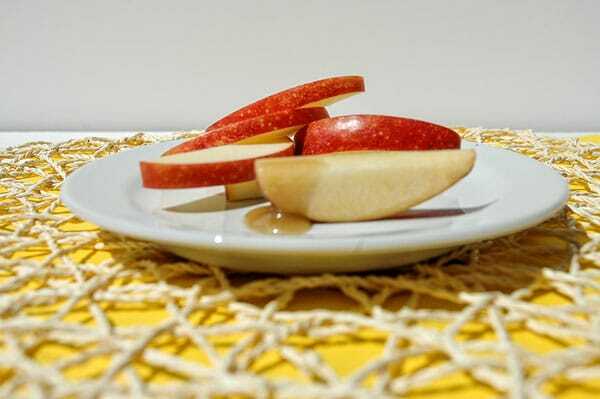 Serve with apple slices as a dip, or as a sauce over ice cream or cake.